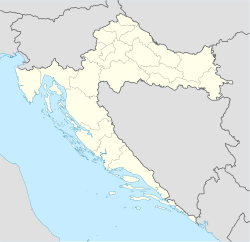 Nova Jošava is a village in north-eastern Slavonia, situated in municipality town of Orahovica, Virovitica-Podravina County, Croatia. year of census 2001. 1991. 1981. 1971. 1961. Wikimedia Commons has media related to Nova Jošava. This Virovitica-Podravina County geography article is a stub. You can help Wikipedia by expanding it. This page was last edited on 16 January 2018, at 22:30 (UTC).